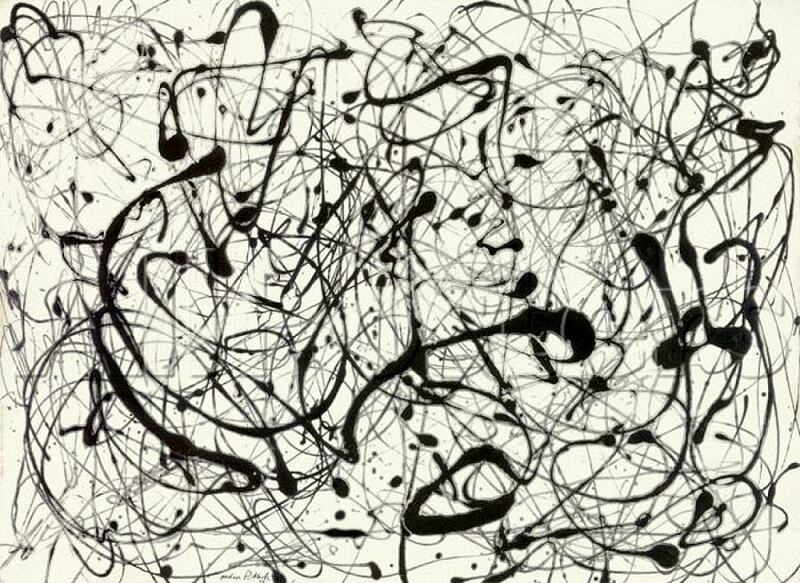 When I think of Jackson Pollock, I rarely think of food. It's funny, but I don't think of artists as being great cooks. Maybe it is the paint-stained hands, or the chemicals, or just some weird bias on my part. Writer in the kitchen seems right but artists.... Needless to say when I saw Robyn Lea's book, Dinner With Jackson Pollock: Recipes, Art & Nature, I was intrigued. Turns out that after a busy day of splatter painting, Jackson headed into the kitchen. 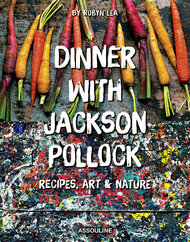 The cookbook features recipes from Pollock, Lee Krasner, and various artist friends who hung out in the Hamptons. (The pre-99% Hamptons where struggling artists could still find a home.) Pollock and Krasner took advantage of the seafood and local produce. Much of what the pair knew of cooking came from their parents. Pollock's taste ran to the Midwestern fare ate at his mother's table. While they often hosted other artists, Stella made several appearances in the kitchen. Lee Krasner, Stella Pollock, and Jackson Pollock. 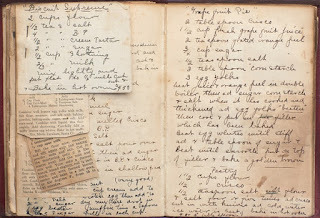 One of the most charming items uncovered by Lea was Stella Pollock's handwritten recipe book. A familiar site in many family kitchens. Her son built on her recipes in an attempt to become a better cook. His biggest culinary passion was baking. 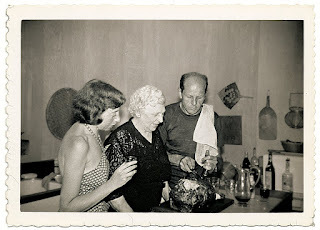 Given Pollock's reputation for being erratic and boisterous, it is interesting to think that his kitchen exploits gravitate to the precision and patience required for baking. His signature baking accomplishment was his apple pie. It won first prize at the Fisherman's Fair. It became so popular that every year, people bid to buy his pie site unseen. 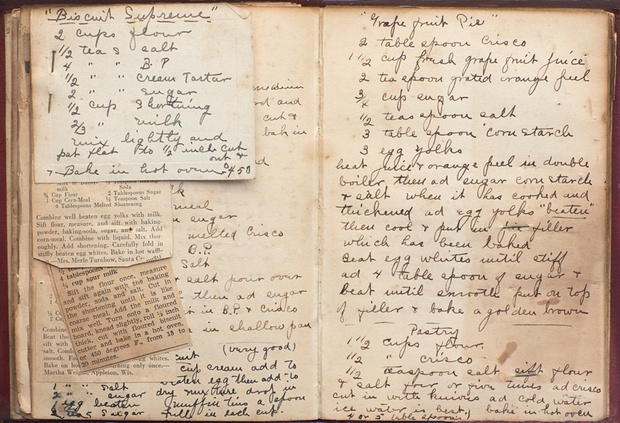 The recipe for the crust was written out by Stella on the back of a recipe book. To prepare the filling: Peel, core and thinly slice apples. Stew apples in a pot with the water (add enough to cover the fruit), plus the sugar and spices, until just cooked. Chill the apples in a little of the juice. When cold, sift the flour over the apples and stir gently to combine. Set aside. Preheat oven to 450°F. To make the pie crust: Combine flour, baking powder and salt. Add butter and cut in until mixture is crumbly. Add egg yolks and mix with enough milk to make a dough. Roll out dough lightly. Place the pastry in a greased 10-inch round pie dish, allowing pastry to overhang the edge of the pan by about 1 inch; trim away excess dough, roll it into a ball, and set aside to make the top crust. Be sure there are no cracks in the bottom crust; seal them by pressing edges together with fingers. Pour the apple mixture into the pie shell and distribute evenly. For a simple top crust, roll out the remaining dough, slide the pastry sheet onto the rolling pin, and unroll it on top of the apple pie filling. Allow top crust to overhang the edge of the pan by about 1 inch; trim away excess dough, then pinch the top and bottom crusts together all around the rim to seal the pie. Prick the top crust with a fork in about a dozen places, or slice a few small openings with a knife, to allow steam to escape. Brush the top pastry with egg wash and sprinkle lightly with a pinch or two of sugar. For a more elaborate lattice-style top, roll out the remaining dough, cut into ½-inch strips, and weave strips across the top of the filling. Brush the lattice strips with egg wash and lightly sprinkle with a pinch or two of sugar. Place the pie in the center of oven and bake for 10 to 15 minutes, then reduce oven to 325°F and bake 25 to 30 minutes more. Funny how something as simple as an apple pie can change the way you look at art. 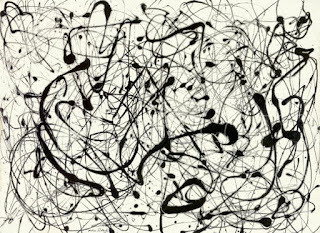 Thanks to Robyn Lea, I will never look at Jackson Pollock the same way. Art and recipes! What a combo.